Ask an Influencer: Product vs. Payment? Hi everyone! My name is Chloe. 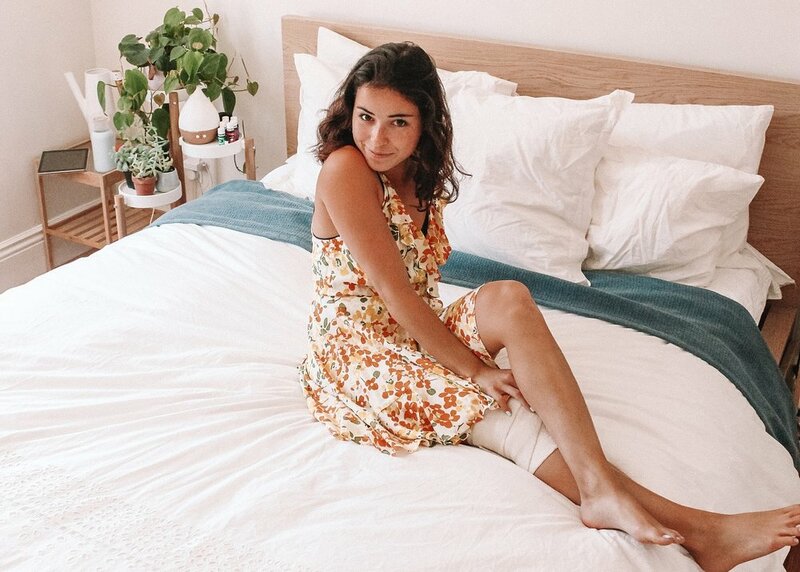 I am a AspireIQ Customer Success Manager by day, and by night I run my own lifestyle and travel blog, consciouslychloe.com, and my Instagram feed, @consciouslychloe. Welcome to my newest series, "Ask an Influencer". I have been on Instagram since 2015 (yes, those good old pre-algorithm days), and I’ve worked in influencer marketing on the brand and agency side for a year. It’s safe to say that over the last three years I’ve learned the ins and outs of brand and influencer partnerships from a unique perspective. Both my job and my side hustle have the same end goal. Both brands and influencers want mutually beneficial relationships. Whether that be brand exposure and sales or free products and payment. Throughout this series, I want to address the common mistakes I’ve seen on the brand side and give you some insight into the influencers' thoughts in order to provide you with the tools to establish and continue a relationships that’s long-lasting and high-performing! For the first part of this series, I'm going to touch on the subject that most brands' marketing teams have asked themselves at one point or another. Is product for post dead? And if so, is #payforplay the only way I can get in on the influencer marketing action these days? AspireIQ has posted an article, "Can Unpaid Influencer Campaigns Work?" that contains real statistics about unpaid campaign acceptance rates. But I want to tell you what influencers really think about working for free. How much is the free product you’ll be giving the influencer worth? I get offers daily that suggest the brand gives me free products in exchange for an Instagram post. My response is usually, "I will potentially be able to post on my Instagram Story, but my posts start at this rate: ___. " This kind of response is not uncommon. Although promoting products on social media is not my full-time job, for many influencers, it is! And at the end of the day, creating content takes time, effort, and resources that influencers deserve to be compensated for. In general, most influencers—myself included—will prioritize paid sponsored posts over product posts. That is, UNLESS I have a good relationship with the client and have worked with them before. But when it comes to working with a new company that only wants to give me a product, it is most likely that they will get put on the back burner. I might forget about them, and they might contact me a few weeks later asking how I liked the product and if I had a chance to post on my social media account. The bottom line is, if you’re reaching out to an influencer for the first time and expecting them to promote your product for free, you’ll most likely fail—and you'll look like you don't really appreciate their work, making the influencer even less interested in interacting with you and your products. If you have no budget but you do have a ton of products, what should you do? I would reach out to micro-micro influencers (those with 10k or less followers). Send them your product and ask them to create three images without the need to post on their social media accounts, or ask them just to post once on their feed. Sometimes this works as they may create content for you, and if they love the images and the product they actually might make organic posts/create great images for you. Find your true fans and hold onto them tight. The key to successful partnerships are communication and understanding. Read about how to form long-term relationships here. I am an affiliate with only one company, and I have been an affiliate for two years. They send me free products that I absolutely love, and in exchange I will sometimes post my coupon code and make some $$ on the side. The money I make is not a substantial amount, but it is enough to keep the partnership alive, mainly because a box of their products is worth $50-$75. I hope this advice will help as you compete against companies with big budgets. As you scale up your efforts you will eventually have the opportunity to work with influencers who have more followers, but if you are a small brand you should be working with smaller influencers. Together. you can grow organically and watch your relationship blossom over time!